3.3 has brought about a lot of changes in the World of Warcraft, most notably (in the case of my PvE gearing-up)- the random dongeon finder. I haven’t had a chance to hop in game quite yet and test it out, but from what I’ve heard it seems to be a pretty awesome thing. Because of this new feature, instead of gearing up largely through running a whole bunch of ToC and ToC heroic 5 mans, I’m going to simply hopping in game, and finding a random dongeon. So what does this mean, exactly, for us brand new 80s looking to nag some gear? Simply that gearing up just got a whole lot simpler. Finding a heroic group (at least for me, in my past experience) can take upwards of 20 minutes to a half hour, by the time you’ve found everyone and flown out to the instance. Now you’ll be simply ported into the dongeon, across realms, and paired up with a group. I’d say it’s pretty much guaranteed that at any given time, 4 people somewhere out there also want to run a random dongeon, so in theory you should be able to just keep on jumping in. Also there’s no cap on the number of times you can go into a random dongeon, so if you don’t mind the odd Occulus (a nortoriously bad instance, for those of you not in the know), clicking random again and again until you’re little bloodthirsty heart is satisfied seems to be a viable option. On top of the emblems you’ll get from simply running the instances, you’re going to get rewards for running a random instance. From what I gather, the first random dongeon of the day will award you two Emblems of Frost (the current high-tier emblem, again, more on this soon). That’s pretty nice, considering you’re only running a quick, simple, entry-level heroic. The alternative manner to amass Emblems of Frost is by stepping foot in Icecrown Citadel (the hardest raid currently in the game), so that’s a pretty nice reward. A friend of mine, who’s pretty PvE savvy, claims (and mind you, I can’t confirm the theory yet), that in two or three days of heroics (say a weekend or two) you can be all decked out in reasonably viable raiding gear, and be all but ready to start clearing new content. And, after all, that is sort of the point. As fun as running heroics can be. Now, like I said, there’s no guarantee that’s actually how long it takes. And also, I’m certainly not suggesting that in order to gear up you must dedicate a weekend of your lives to the cause and play nothing but WoW. If you feel so inclined, be my guest, but I don’t expect anyone reading this to play all day long, as I certainly have no intention of doing so. Another big change in 3.3? 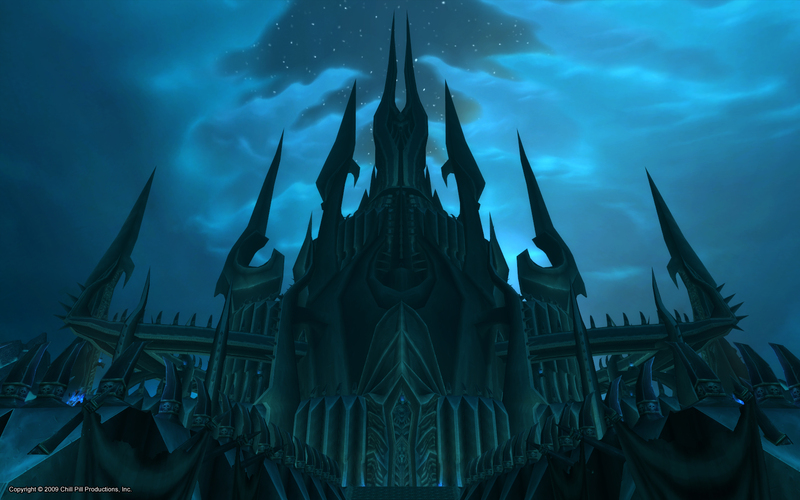 Icecrown Citadel. Unless you’ve been living under a rock in the World of Wacraft for the past couple months, you know this is the latest raid Blizzard has released for our pwning pleasures. I (obviously) haven’t been in there (since I’m still worried about running heroics) I have to say it looks pretty awesome. 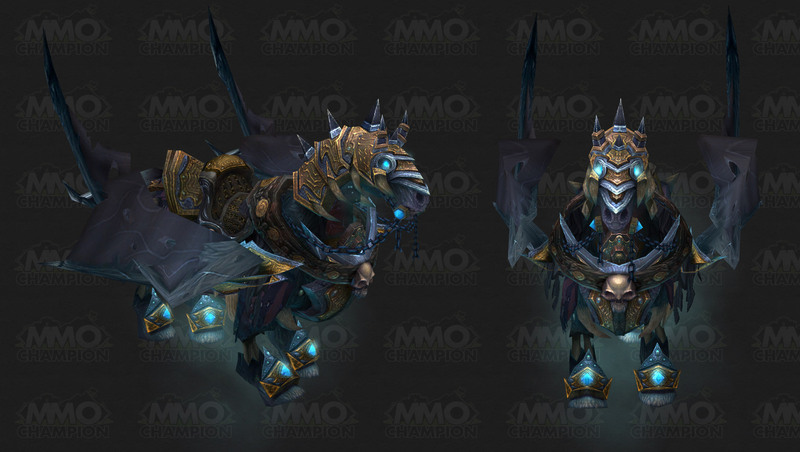 And there’s really nothing cooler than the concept that shortly, we all may be in a possition to finaly kill the Lich King. And taking him down is going to pretty epic, I’m sure. So yes, all in all 3.3 is looking pretty epic. And I can’t wait to get my feet wet.